A new project to build a Mars Science City in the United Arab Emirates was unveiled during annual government meetings on Sept. 26, 2017, in Abu Dhabi. The ambitious $136 million (AED 500 million) project was launched by Vice President Sheikh Mohammed bin Rashid Al Maktoum and Crown Prince of Abu Dhabi Sheikh Mohamed bin Zayed Al Nahyan. The goal is to inspire youth to pursue careers in science and engineering as the UAE continues to position itself as an emerging player in space exploration. The project is being led by a team of engineers from the Mohammed bin Rashid Space Centre and Dubai Municipality in cooperation with architect Bjarke Ingels. 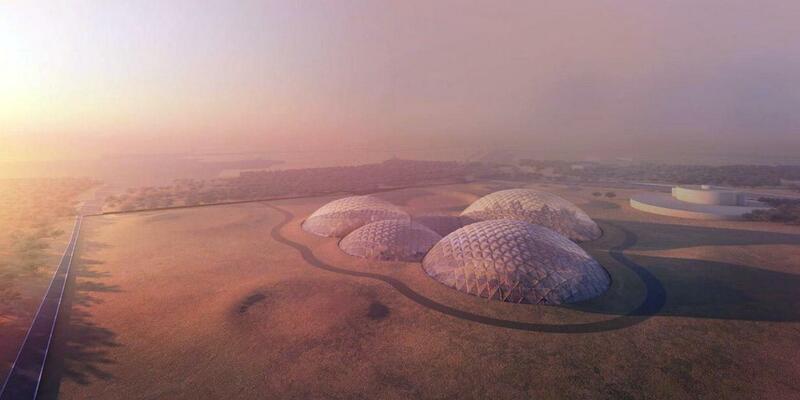 The facility will include a series of domes manufactured using 3-D printing processes out of sand from the Emirati desert. 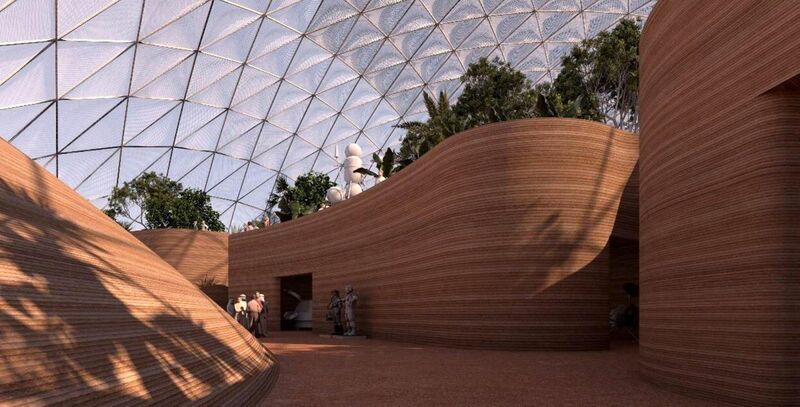 In addition to demonstrating construction and building techniques that could be employed in building a city on the Red Planet, Mars Science City will feature laboratories simulating the Martian surface to aid in the development of other technologies that could be used in Mars exploration. Project planners also hope to combat problems on Earth using technology developed for the project. A central part of the project will involve having a team living in the simulated city for one year to spur innovation in self-sufficient technologies related to energy, water, and food, with possible implications for developing new technologies for use on Earth. Current concepts for the first large bases and cities on the Red Planet involve in-situ resource utilization (ISRU) to build and operate the facilities. Mars Science City would be the first large-scale test of a facility on Earth to employ ISRU techniques that could one day be used on Mars. The UAE is also one of several nations building a spacecraft to send to Mars during the 2020 launch window. The Emirates Mars Mission will be the first robotic spacecraft designed to explore the Red Planet launched by an Arab or Muslim country. Mars Science City would be another step in further developing the UAE’s space exploration capabilities and partnerships.